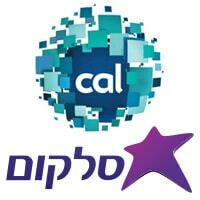 Israel Credit Cards-Cal (ICC-Cal) and mobile network operator Cellcom Israel have signed a letter of intent to jointly develop an NFC mobile payments product, Globes reports. ICC and Cellcom will establish a customers club on the basis of Cellcom subscribers, whose members will receive ICC credit cards. Club members will receive various benefits and discounts. The credit cards will use near field communications (NFC) technology embedded in the smartphones. The new venture is a “long-term strategic measure that will be a growth engine,” Cellcom has told Globes. News of the venture first surfaced in March.